The Christmas season is upon us, and here at Papermilldirect, we simply can’t believe how quickly it has come around. The Halloween decorations are down, the bonfires put out, and so now is the time to think about Christmas and – more importantly – making those Christmas cards to send out to your friends and family in plenty of time. When it comes to getting crafty this season, it may feel as though there is an infinite number of people to send your cards to and buying shop bought cards can total up to a hefty amount of money. However, you can save plenty of money, time, and give a personal touch this festive season by opting for homemade cards. We’ve accumulated some handy tips that can not only save you money but allow you to make Christmas cards in little to no time, ensuring that everyone on your Christmas card list gets well wishes in the post! Everyone has photos around the house, whether this is an old collection in the attic of the family wearing Santa hats circa 1980s, or a family portrait taken a while back. Utilising these photos cannot only save you time, but plenty of money. 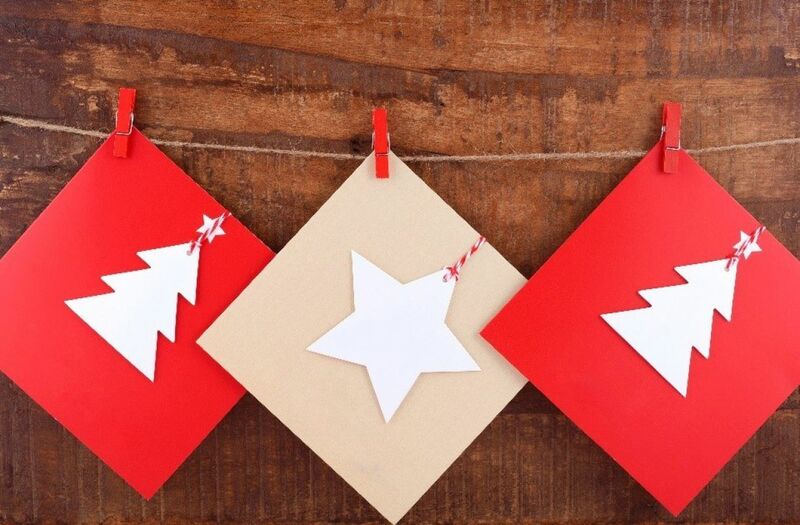 However, if you don’t have a Christmas style photo laying around – do not fear, as this is where the power of craftcard making paper comes in handy - simply make use of red and white card and pop a Santa hat on everyone’s head. Using photos is a great way to reduce your budget and to create a personal and fun Christmas card that your friends and family will love for years to come! Xmas Red Sparkle Card- Perfect for a sparkling Christmas hat for the whole family! By making the most of a festive card selection you can get creative with any Christmas card project. Everybody knows the essential Christmas colours are red, black and white for a Santa themed card, and an array of greens allow you to pop in the holly and the ivy. With both you could even create a cute festive elf card! However, by having multiple colours in your card collection you can get super creative when you make your Christmas cards. Who said you must stick to the traditional colours anyway? By making sure you have a permanent supply of traditional Christmas colours, you have a huge amount of choices to get crafty at Christmas. There’s no simpler way to make a Christmas card on a budget than to get creative with your own artistic flare and a set of fabulous pens. By putting pen to card, you can create all kinds of marvellous creations. You just need the perfect card to make an artistic splash on. You could even use our handy card blanks, which are sure to save you money and time. By combining this with utilising bits and bobs around the house, you can get super creative with your card making paper. Think buttons, string and even things like pasta and rice. Getting active with your glue stick, scissors and card making paper is all you need sometimes to create an impressive Christmas card. If you have a mountain of different coloured card, some high-quality pens and a creative buzz swirling around your mind, then you have all the necessary pieces for a perfect Christmas card. Christmas is a time for joy, fun, family and friends, however it’s also a time when we tend to be a bit more careful with those pennies. When you sign up to our newsletter, you’ll not only receive lots of inspiration for your festive card designs but you’ll get 10% off your first order, saving you money and time! Does that mean extra money for Christmas goodies? You can sign up here to become a new member, receive all kinds of exclusive offers and subscribe to our mailing list.